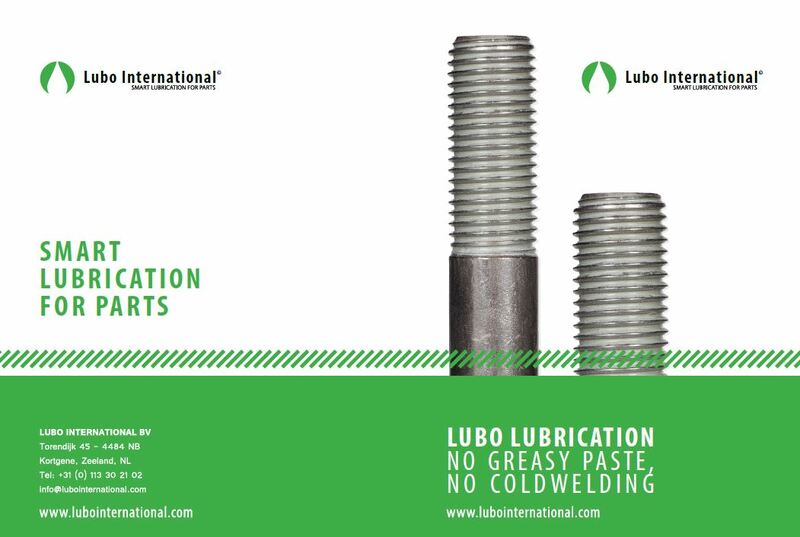 Lubo Lubricant can be applied to every stainless steel fasteners. back again into the fixed state it was in before. pharmaceutical industry, offshore, maritime shipping and civil engineering. minerals and therefore harmless to the environment. post-treatments, other lubricants, pastes are required. loosened: no galling will occur! which limit the life time. 3. Lubo Lubricant is completely FDA compliant.